Californian Gold is a hard hitting hybrid that is indica dominant (80/20) and a real gift to the grower. 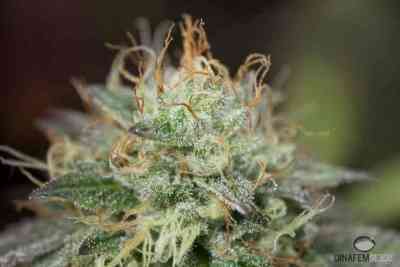 It is easy to grow and its payload delivers with an explosion of resinous buds. The Paradise Seeds research and development program has been looking for an indica hybrid with unique qualities and Californian Gold is it! We have taken a trip down memory lane with this variety, released to commemorate legalization in the Golden State, picking out some old school classic Californian genetics and giving them a turbo boost to produce something very special. It was during development that the grow team observed a rare phenomenon – the production of resin gives the appearance of sweet honey. This plant literally drips with resin! Californian Gold lives up to its name in the grow department, an easy going addition to both indoor and outdoor setups. It is a bushy plant, robust with thick stems and big leaves, and is very pleasing to grow. In terms of production, smell and flavor this plant comes with the full package. For the indoor grower, its medium size makes it a good companion for the grow room, especially one where height is an issue. The quick flower time and dependable yield are two further qualities to recommend this variety and production is characterized by large buds that are compact and oozing with resin. 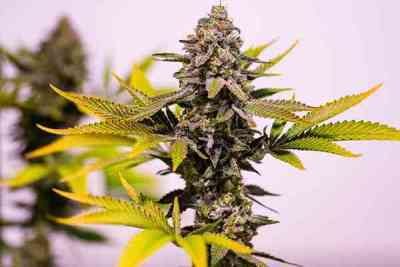 Outdoor, in the garden, Californian Gold will naturally thrive in warmer climates, where the sun will make those characteristically large indica buds swell. However, the hybrid nature of this plant makes it a reasonable adapter to the cooler climates of more northern regions. This is a plant that has a natural place in any garden and the predominant scent is tropical – a mouthwatering sweet citrus pungency, with tones of lemon and mango. As such this is a very tasty treat for any connoisseur with a sweet taste that invites you to come back for more! The effect is a wonderfully relaxing body hit with a definite sense of uplifting clarity. Californian Gold is a real clear headed indica producing chunky nuggets whose genetic makeup that brings superb relaxation qualities that will be very attractive to users of medical cannabis too.